Taekwondo is a traditional Korean martial art that teaches discipline through kicking and hand techniques while enhancing spirit and being through powerful mind and body training. 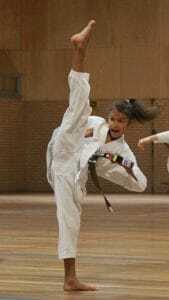 Directly translated Taekwondo means the “art of the hand and foot”. 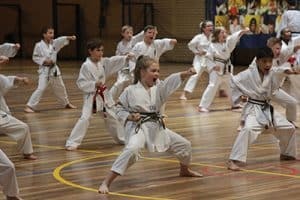 Taekwondo is a very dynamic martial art that incorporates kicking, self-defence, traditional forms and sparring using the whole body to deliver several martial arts techniques. 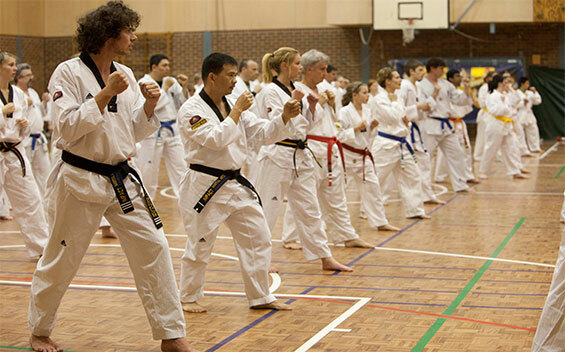 Taekwondo is a popular global Martial Art and is a recognised Olympic sport. 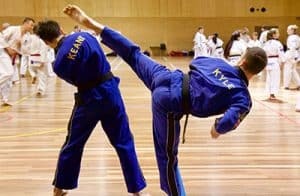 Combining combat techniques, self-defence, Olympic sports training, exercise, meditation and philosophy taekwondo is one of the world’s most popular martial arts. Taekwondo has evolved to also include various take-downs or sweeps, throws, and joint locks. Unlike other sports, Martial Arts offers a deeper training experience, aiming to enhance body, mind and spirit as well as fitness, flexibility, strength and dynamic movement. Taekwondo is renowned for its physical benefits as it incorporates conditioning the practitioner to use the entire body. Taekwondo is known for its technical kicks that are performed with superior skill. The IMPACT Taekwondo program is our most popular program for kids, teens and adults. 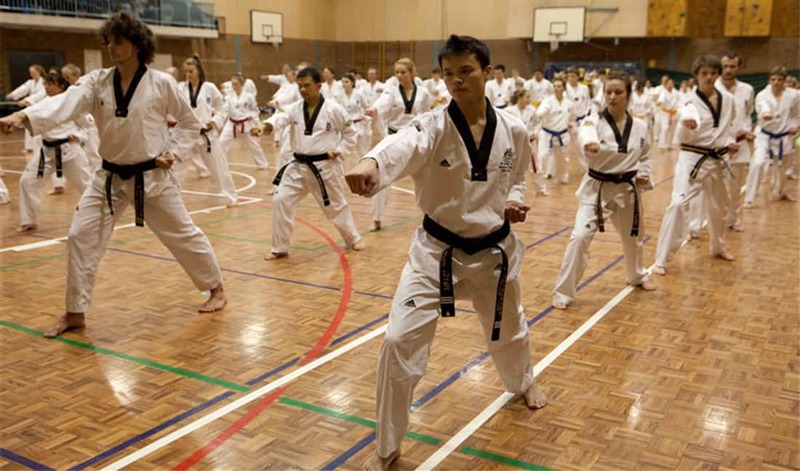 The Taekwondo program has an internationally recognised syllabus, uniform and belt ranking system. This program is for individuals, who want to gain fitness, learn practical self-defence and develop a strong mind and body. IMPACT is a member of Australian Taekwondo (AT), the largest Taekwondo Organization within Australia, which is linked to World Taekwondo (WT). We are affiliated with the international headquarters for Taekwondo, Kukkiwon, which provides the global taekwondo population with internationally recognised black belt certification. 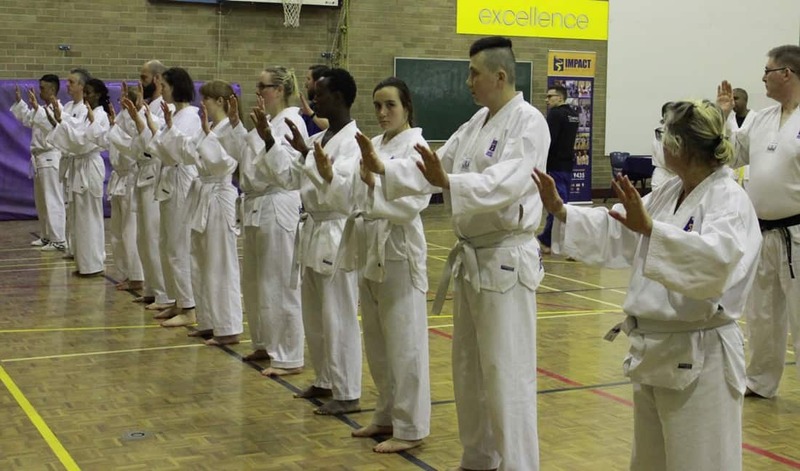 At the completion of this program, members will receive their internationally recognised Black belt in World Taekwondo Federation style Taekwondo. Basic techniques – punching, blocking, kicking and stepping. Self-defence – practical skills and techniques to defend yourself. Sparring – a popular Olympic sport that focus on scoring points with kicks. Patterns– a traditional set of techniques and movements; also an international sport. Board Breaking – demonstrating focus and accuracy applied to wooden boards and tiles. Weapons – ranging from Bo Staff, Arnis, Nunchaku, Sai and Karma. 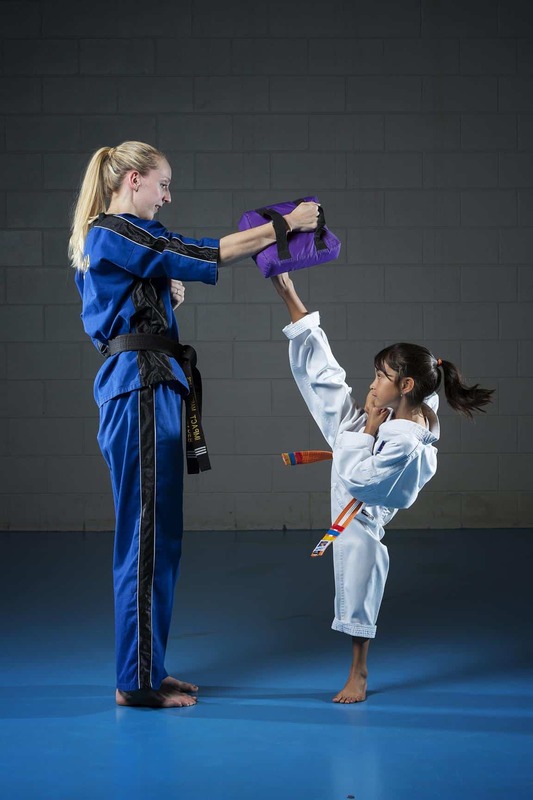 The Taekwondo Program is offered adults and children of all ages. Anyone can practice Taekwondo, from children as young as three, to adults as of sixty or seventy years old! There is no minimum fitness or skill level required – we can help you gain the physical ability and teach you everything you need. The Taekwondo Program starts from White Belt, so you do not need any prior martial art knowledge. The program consists of students of varied physical and technical skill, and there will be other students of your level. The Taekwondo program is not just about how you train but also about how you approach your training. It is where IMPACT’s fundamental belief of “try your hardest to be your best” really shows. A positive attitude and willingness to train hard are key indicators that you are ready for the Taekwondo Program. 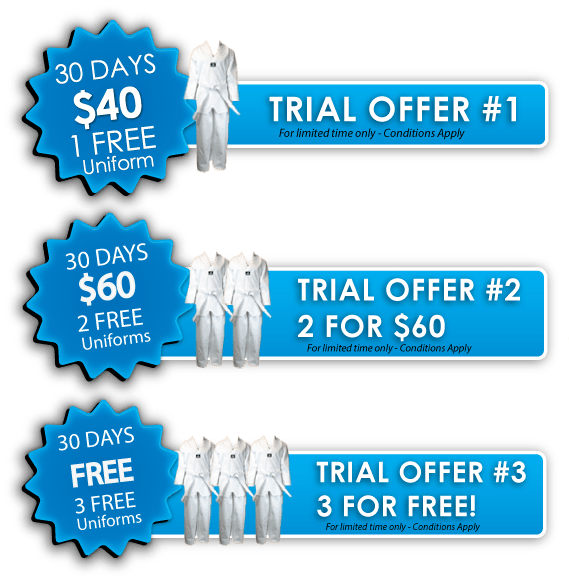 Given all syllabus criteria are successfully met, the Taekwondo Program is designed to help you attain your Taekwondo Black Belt in approximately four years. Call us NOW to sign up for our 30 Day Trial Offer. Bring along a friend or two for exclusive deals and discounts! IMPACT practices many styles of Martial Arts including Taekwondo, Kenpo Karate, Kyusho Jitsu and Hapkido.